Anyone who is into gamebooks has heard of the Tin Man Games studio and the Gamebook Adventures series that it produces. Well today, we have the creative director at Tin Man games, Neil Rennison! Yes, Neil Rennison talks us through the gamebooks that touched his life and what he looks for in a great gamebook. Without further ado, let's get onto the interview. 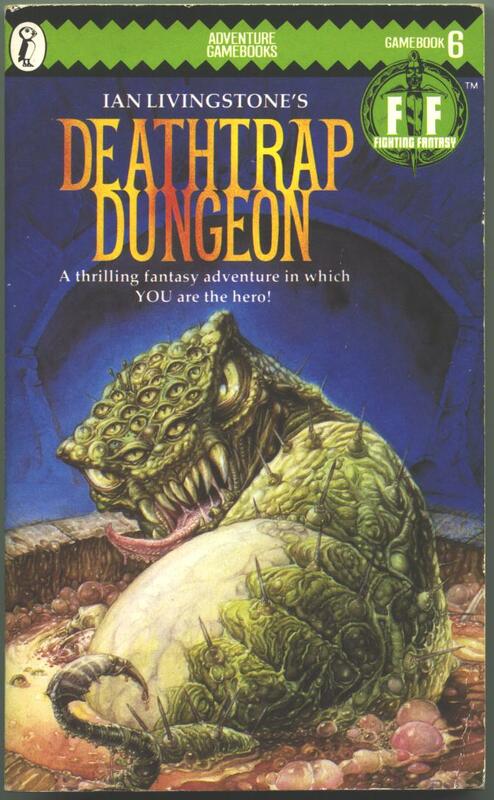 It was Deathtrap Dungeon! We regularly visited the south coast in a campervan when I was a kid. There used to be a bookshop at the end of the beach car park and I first glimpsed the blood beast! As the UK weather was pretty rubbish most of the time, it meant I spent a lot of time in the campervan reading gamebooks over the years. Probably House of Hell. I was a huge horror fan when I was a kid and used to secretly record Hammer Horror films on our video recorder (I was the only one who knew how to program it) late at night. 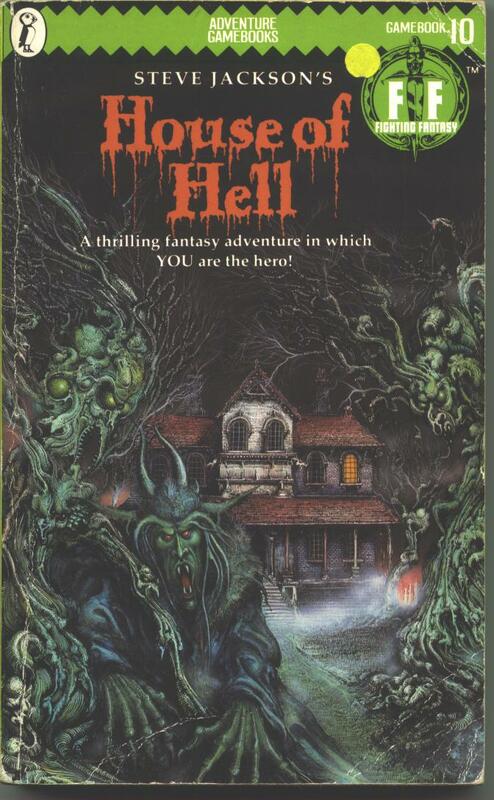 House of Hell ticked all my entertainment boxes at the time and still remains on my bookshelf to this day! It depends on what they were interested in really and how old they were. I would always point kids and big kids (*ahem* 30 something year olds mostly *ahem*) that like Lord of the Rings towards Fighting Fantasy or our own Gamebook Adventures as it's a bit of a no-brainer. Older, more fussy readers I would probably recommend some more recent series such as the "Choice of" series on Kindle as there varied choice of genres. 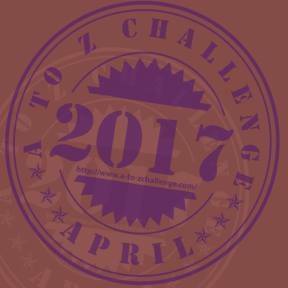 (I'll try and do something different) A gamebook is like a video game - the aims are the same: to reach the end and win. Instead of graphics you have descriptive narrative. Instead of pressing controller buttons to decide which way to go, you turn pages. Instead of memorising button combinations for fights, you roll dice. I think gamebooks are unique in that they are both passive and interactive at the same time. Reading tends to be totally passive (like watching a film) and games require interaction almost all of the time. In a gamebook you are initiating a traditionally passive past-time (reading) and fooling your brain into thinking one thing. When you suddenly have to make choices, you are thrown into a new type of passive interaction that I don't think you can find in many other places. 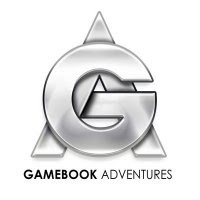 Where did you come up with the idea for Gamebook Adventures? I was sat in my office in Melbourne wondering what sorts of games my new indie company could make. We'd just made a $1 fruit picking game that completely bombed and the cash reserves were dropping quickly. I went back to my childhood and thought about the gaming experiences I had had before computers/consoles and gamebooks were the obvious choice. At the time ebooks were taking off and the iPhone had just released. Tapping the touch-screen seemed an amazing way to bring a new level of interaction to traditional gamebooks and so we began designing the apps there and then. As soon as the iPad launched, we knew that gamebooks had found a perfect new home and went from strength to strength from there. Find a good gamebook writer first and foremost! We've had a lot of interest from normal writers, who while undeniably talented, do not have the experience of "game design". In many ways getting that design right is more important than the way the words are shaped on the page. Gamebook writing is a multi-disciplined past-time and requires creative, analytical and logical based thought processes all interacting at the same time. In truth it's a bit of a dark art! It's an incredibly crazy year for us. Firstly Judge Dredd is out sometime at the end of April - our first licensed gamebook outside our normal settings. 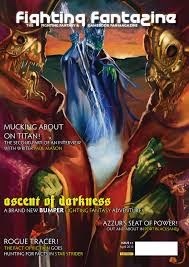 We've then got two sequels to An Assassin in Orlandes and Slaves of Rema coming down the pipe as well as around six other gamebooks from our fantasy setting in the pipeline and due for 2013. On top of that we have Gun Dogs from Greywood Publishing and Lone Wolf art legend, Gary Chalk, coming later in the year. We're also investigating new genres too and have a supernatural romance series due for release in the middle of the year as well some children's gamebooks planned. Finally we are chasing a bunch of well known licenses to leverage our gamebook technology - many that gamebook fans will recognise and some that have never been made into gamebooks before! All hush hush! www.tinmangames.com.au is our Tin Man chatty blog andwww.gamebookadventures.com is our consumer facing site. You can also follow me @TinManGames and Ben @benbritten.